A spoof made for Soviet TV persuaded some Russians that Vladimir Lenin's personality had been severely affected by hallucinogenic mushrooms. As communism was crumbling in the early 1990s a spoof made for Soviet TV, persuaded some Russians that Vladimir Lenin's personality had been seriously affected by hallucinogenic mushrooms. The mushrooms in question were the deadly poisonous fly agaric fungi which the programme alleged Lenin had eaten whilst in exile in Siberia. Dina Newman has spoken to journalist Sergei Sholokhov who presented the TV spoof. 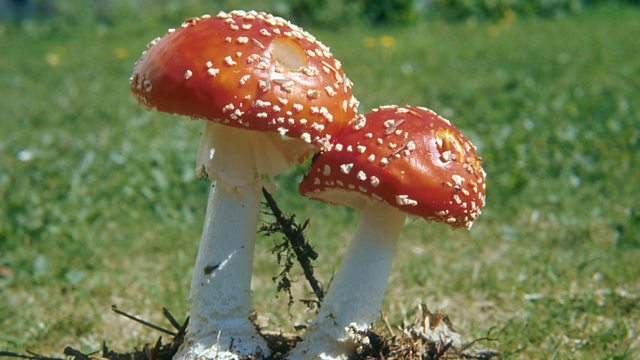 Photo: two fly agaric toadstools. Copyright: BBC.